Solid Biocide, 2K7 Bugstick, Targets Microbes With Ease. 2K7 Bugstick…Just Drop It In. Where there is water there are bugs. 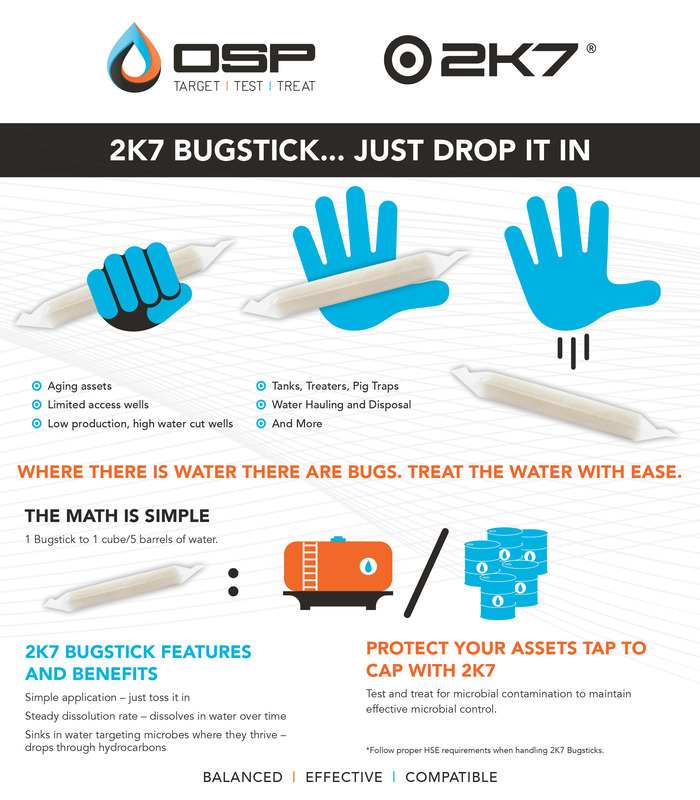 Treat the water with ease with 2K7 Bugstick, a solid biocide. All you have to do is drop it in (using proper HSE requirements). It’s that simple. With a steady dissolution rate, 2K7 Bugstick is a solid biocide that drops through hydrocarbons to target the microbes thriving in the application. All you need is 1 – 2K7 Bugstick to 1 cube or 5 barrels of water (water being the important part in the equation). Treat the water cut, not the total volume. Contact our team of OSP Experts for more information related to your specific application.